While we’re all trying to recover from the tax man, it’s important to make sure we are still planning for the next year! Nothing lasts forever, including dentistry. Think of a car. Even if you are diligent about maintenance visits (oil changes, tire pressure, etc), at some point, an old car will need to be replaced. Even great crowns, veneers, fillings, and false teeth (dentures) will likely need replacement or retouching after 20 years. Maybe nothing needs to be replaced, but you find that it’s time to take care of yourself and go for that smile makeover you’ve always wanted. We think you’re worth it. 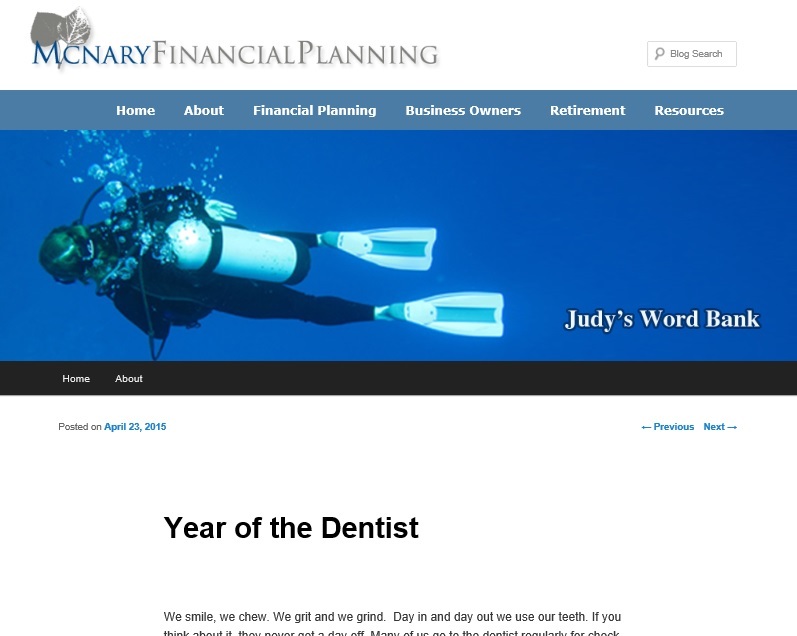 Judy McNary of McNary Financial, wrote this article about planning for what she refers to as “The Year of the Dentist.” She talks about how you can save money when it comes time for taxes if you plan in advance. And who doesn’t like saving money? !